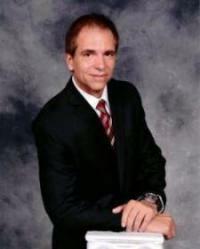 I have more than 20 years of financial industry experience in credit-risk portfolio management, lending and loan review analysis within various sized, regional credit unions, finance companies and banks at both the retail and commercial level. I have also led a bank and credit union ratings division responsible for over 14,000 institutional ratings and developed the methodology for global bank and credit union ratings. I have numerous published articles, quotes in various national publications and appeared in several media interviews including several radio and internet media outlets. In addition, I hold a Bachelor of Science in Management Information Systems and Finance from the State University of New York at Buffalo and a minor in Psychology with continued educated in commercial banking with various institutions in Florida and North Carolina. I have comprehensive financial services experience, with a dedication to superior customer service and success-driven results through various banking and credit union institutions throughout the southeast which are customized to fit the client's needs. As such, I feel I would be a great addition to your team.